I’ve never really understood the concept of not mixing your liquor. I hear it all the time. It goes something like this. 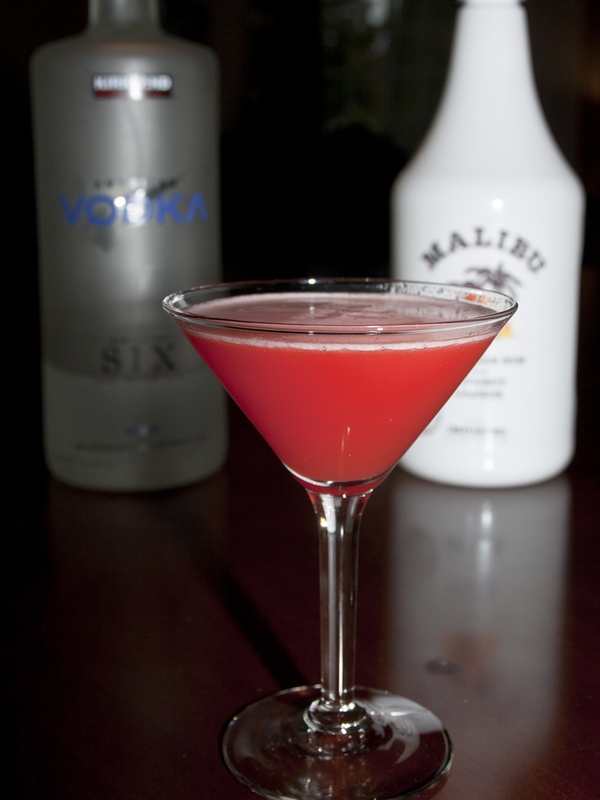 “Oh, I can’t have a Cosmo because I’ve been drinking Mai Tais all night. 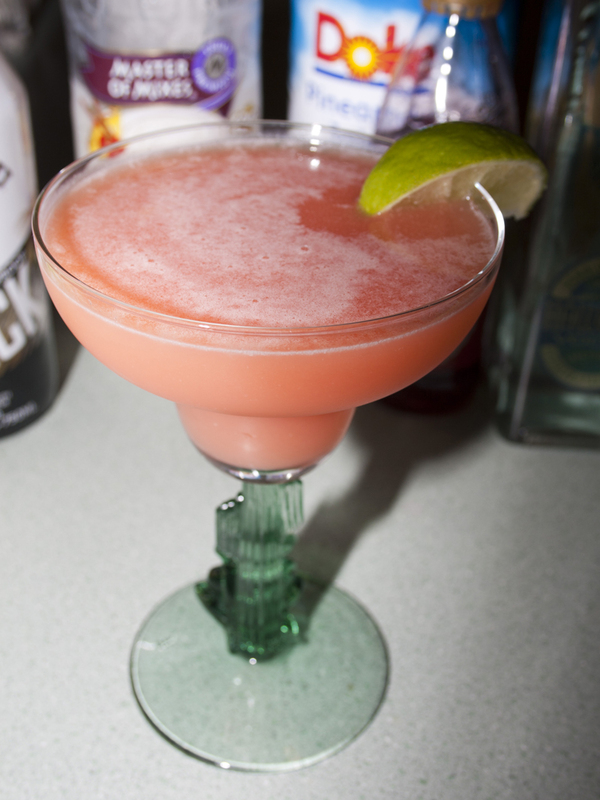 I don’t want to mix my drinks.” Tangent…I just realized my cosmopolitan recipe isn’t posted on this blog. Horrors! Must fix that soon! Back to the Long Island. It slaps you upside the head and says “Just throw it all in there!”. This bar staple has five different kinds of alcohol. Talk about mixing drinks! Pretty much the only thing it DOESN’T have is tea! I went thru a lot of product testing to come up with this recipe. For hours I slaved, tasting batch after batch to ensure a perfect drink experience. The things I go thru for you. Really. I wanted something island-y that would harken me back to days spent curling my toes in warm soft sandy beaches. I fell in love with Mai Tais at the same time I discovered fish tacos. Ahhhh, Maui – heaven. 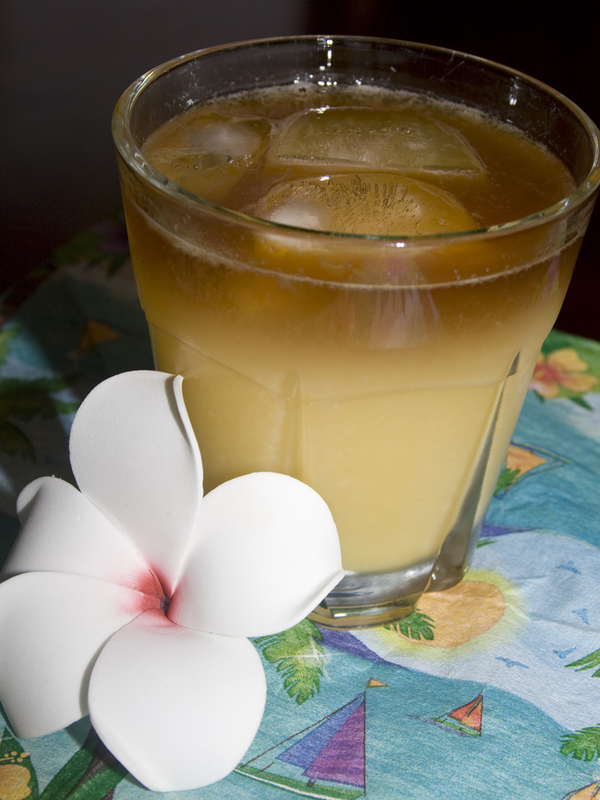 Mai Tais on the island are full of fruity deliciousness. However, I didn’t want it to be so fru-fru that you’d need to drink an entire pitcher to have a buzz. These are grand. Sure to provide a truly tropical feeling right in your own backyard. Try them. You’ll see. They are perfection. 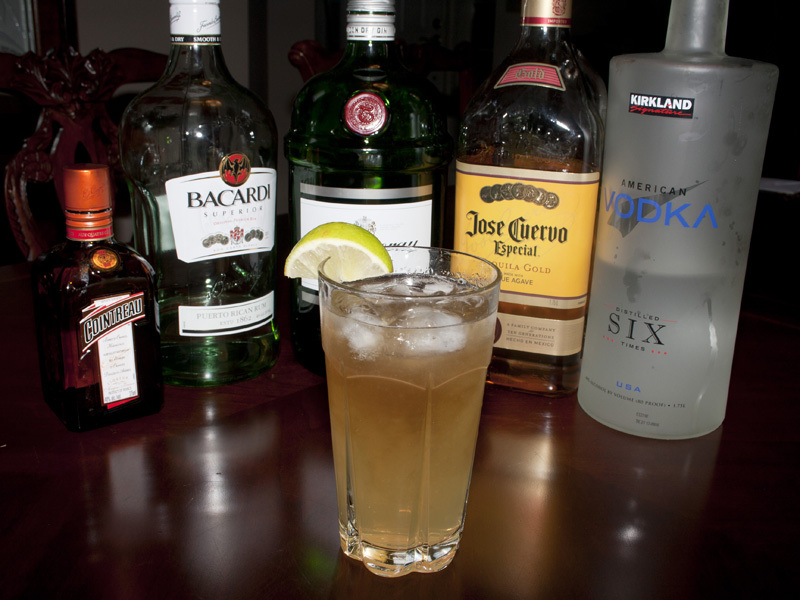 In a large jar or drink cooler, combine the light rum, Triple Sec, Amaretto, simple syrup, lime juice, orange juice and pineapple juice. 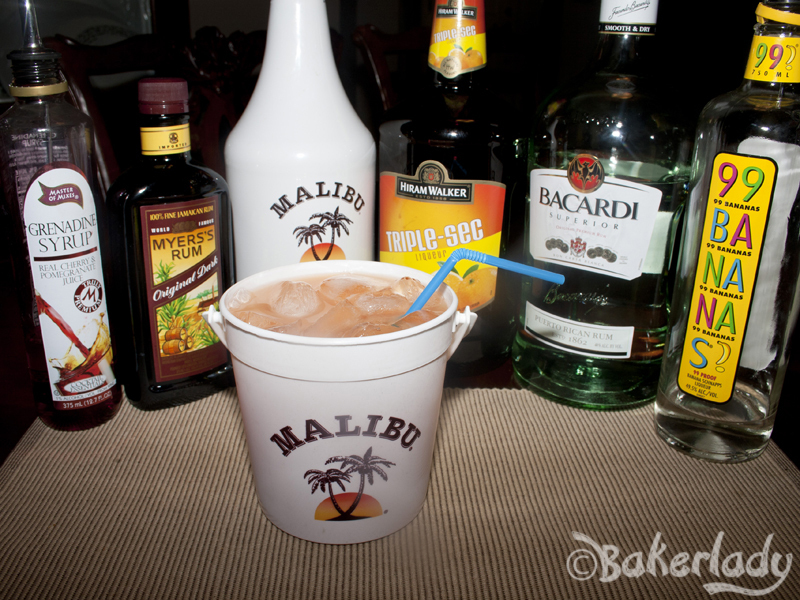 Do not use grenadine if you want the true Mai Tai! Serve in 8 to 12 ounce glasses with ice. Top each glass with a floater of dark rum for a pretty presentation, or add the dark rum and combine for use as a punch. 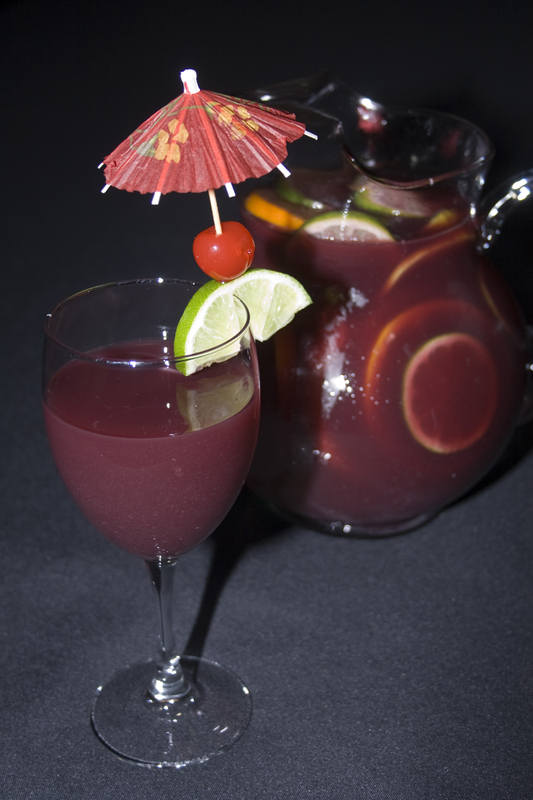 Sangria is about the only way you can get me to drink red wine. I’m just not into it. Add enough fruit and sugar and then I’m all over it. This recipe is bursting with fruity goodness along with a healthy dose of rum. Enough rum to cover up the red wine taste. Perfect for lazy summer days spent doing nothing while the kids play evenings with your spouse after the kids are in bed. Right. That’s the only time I drink it. I have made this with regular white rum as well as spiced rum. Both are delicious. Enjoy! Have the fruit, rum, wine, and orange juice well chilled. Slice the lemon, lime and orange into thin rounds and place in a large glass pitcher. Pour in the rum and sugar. Chill in refrigerator for 2 hours (or overnight) to develop the flavors. Happy Friday! 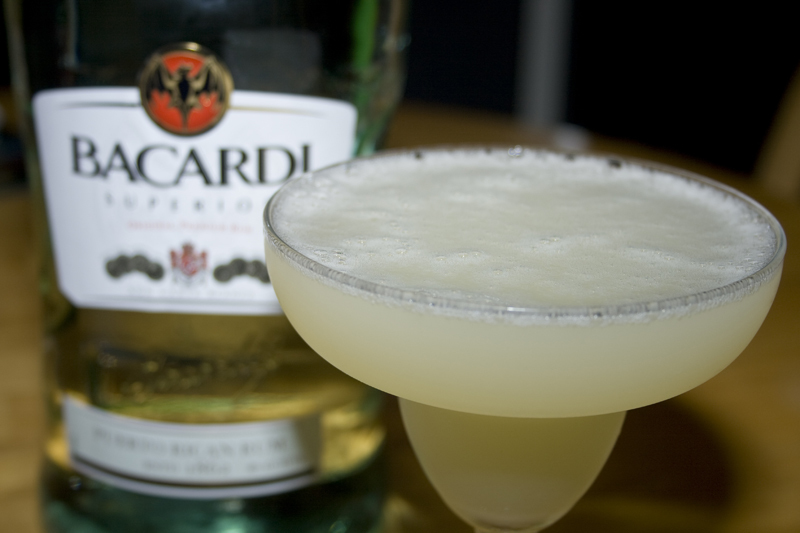 Start the weekend off right with a daiquiri. No blender needed for this perfect cocktail. Created in 1898 by an American engineer working at the Daiquiri copper mines near Santiago de Cuba, this drink will knock you silly and make you ask for another immediately after you come to. Plenty of rum, and not much else! Enjoy! Combine all ingredients in a cocktail shaker and fill with ice. Shake vigorously until chilled and strain into a chilled glass.